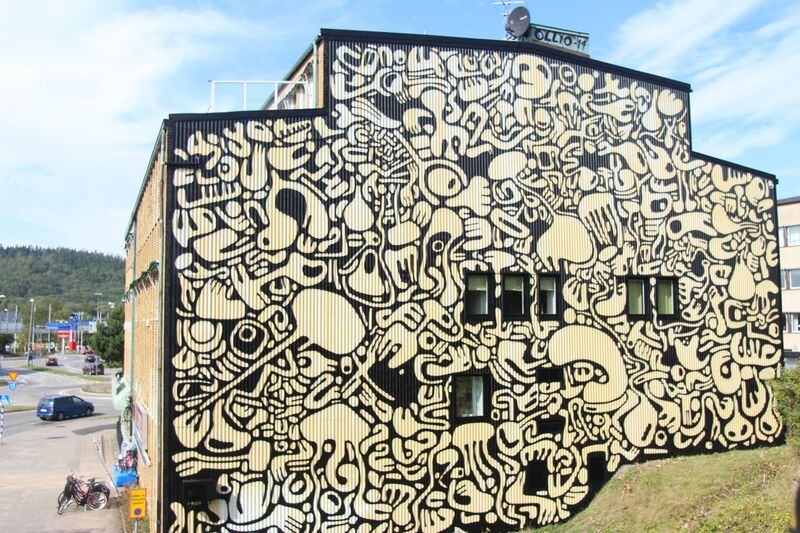 Jonathan Josefsson made himself a name as graffiti artist Ollio in Gothenburg during the 21st century. He stood out within the graffiti scene in Gothenburg in the way he used and placed his tags and paintings, he was also one of the first established graffiti artist in Gothenburg to reveal his identity. Whilst studying at the School of Design and Crafts he discovered the similarities between the spray can and the carpet tufting machine and allowed his playful artistic idiom to be transferred onto carpets. With these textile works, together with his works in acrylic, indian ink and spray colours he has been seen in several exhibitions whilst still continuing to enrich the city with his graffiti. Jonathan Josefsson, born 1978, studied at the School of Design and Crafts during 2001-2007. He has had changing exhibitions at Dalslands konstmuseum, Kungsbacka Konsthall, Kulturens hus in Luleå och Gallery Magnus Winström in Gothenburg among other places. He was also the Culture Festival Promotion artist in 2012 for Göteborgs kulturkalas and has recently designed a rug to be produced at Kasthall. Apart from all of this he has been part of several group exhibitions at Göteborgs Konsthall, Röhsska Museum, Swedish institute in Paris, Galerie Neurotitan in Berlin and Galerie Richter & Masset in Munich. – written by Andréas Hagström, curator Göteborgs Konsthall.